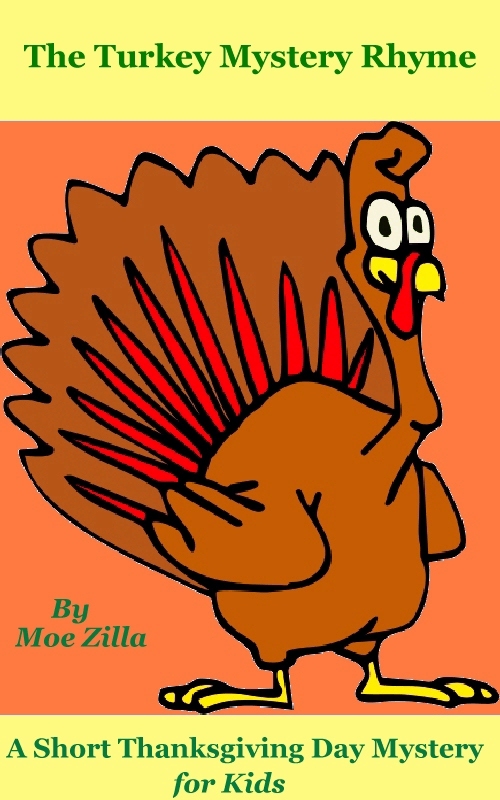 I wrote a funny ebook for Thanksgiving, and I’d like to share it with all of my readers for free. 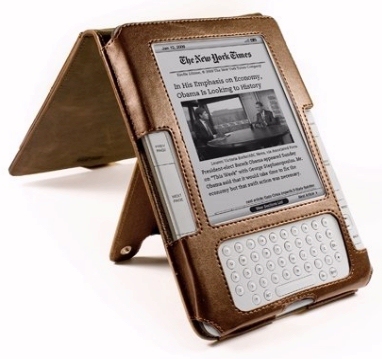 Just point your computer’s web browser to TinyURL.com/TurkeyBook , and Amazon will send it to your Kindle at no charge. And if you read it on your Kindle Fire (or on one of Amazon’s apps), you’ll even be able to see the illustrations in color. Have a happy Thanksgiving! After years of blogging about new authors writing exciting new ebooks for the Kindle, I’d decided last year that I had to try writing one too. So I dreamed up a wild story about four talking turkeys all awaiting the farmer’s axe on Thanksgiving Day – but one of them has a plan for escaping! To try to make it even more interesting, I included 12 different illustrations, and I even wrote the whole thing in rhyme. But Amazon surprised me by publishing my book within just 12 hours from the time I’d submitted it to the Kindle Store. 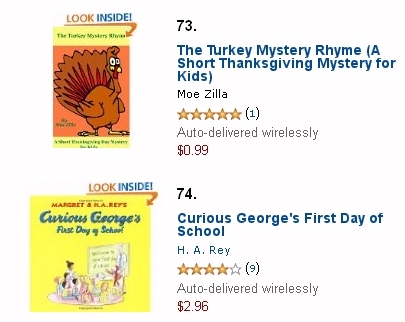 (I’d heard longer estimates of “24 to 48 hours.”) So I woke up the next morning to discover that somehow my turkeys had already snuck onto Amazon’s list of the best-selling children’s ebooks about animals – and they’d stolen the #73 spot from a book about Curious George! I still get a smile when I remember that Thanksgiving. Within another hour, The Turkey Mystery Rhyme had made it into the top six on Amazon’s list of children’s ebooks about birds, one notch above a book I’d first read back in first grade! I wrote to one of my friends that “I was almost paralyzed with excitement when I finally saw it for the first time on Amazon.” And it also made me pause for a minute during the holidays, and think a hopeful thought about the future. And I hope you have a very happy Thanksgiving.